No spouse enters a marriage or parenthood thinking they’re signing up for a part-time job. It’s understandable though, that once a divorce process is underway, parents can become emotionally blindsided from their typical parenting roles. In many of these cases it’s the children who can take the brunt of the damage during the fallout. While spouses experience the end of a union and begin to reconstruct their identities children feel as if they are losing an entire way of life. And while it’s ultimately no one’s fault, when it comes down to it, the oldest child usually has an oddly heavy burden to bear during a divorce. No one sets out to deliberately hurt their children. However, they are extremely perceptive and absorb subtle emotional cues like sponges. There can be awkward silences or micro-aggressions. And these behaviors can come out in the privacy of your home or in public. One way to possibly intervene is to cut in and break the tension. It might be with a joke, or an interjection – even possibly a confrontation – anything to bring the focus away from child’s mediation attempts. Sometimes one parent will begin relying on their oldest child for support, almost the same way they relied on their spouse. This can come in the form of emotional support, oversharing details of the divorce, or confiding deep emotional perceptions. That child will listen because all children want their parents to be happy. Oldest children spend the most time with their parents. As they grow they begin imitating their parents when it comes to interacting with their younger siblings. However, once a rift begins between what was once the united front of their parents, oldest children can become protective of their siblings. This results in feeling the need to shield the younger children from the divorce. This type of isolation can be common with all children of divorce but often happens with the oldest. Having their family’s identity come into question, oldest children can become slightly reclusive and hide their real emotions and thoughts from parents and teachers. 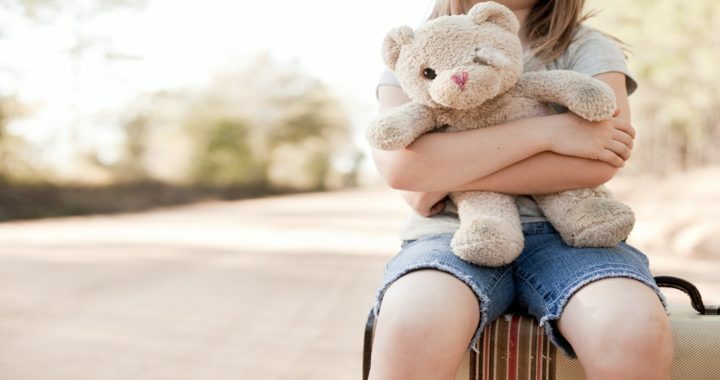 While you can’t wave a magic wand and make everything perfect for your family, there are ways you can help protect your children as best you can from the emotional turmoil of a divorce. Remind your children that they always have emotional support available to them. Remember your boundaries. You are the parent, no matter your marital status. There are concepts involved in a divorce that a child is not mature enough to process. Remind your child to be a child. They should focus on school, their hobbies, and their friends. Let the parents figure everything else out. At Buncher Family Law, we understand that when it comes to family law, we aren’t just working with one client, but a whole family. Always sensitive to the needs and concerns of the men and women we represent, our firm has a strong reputation for extraordinary customer service. We strive to make our clients feel at ease every time they walk through our doors.